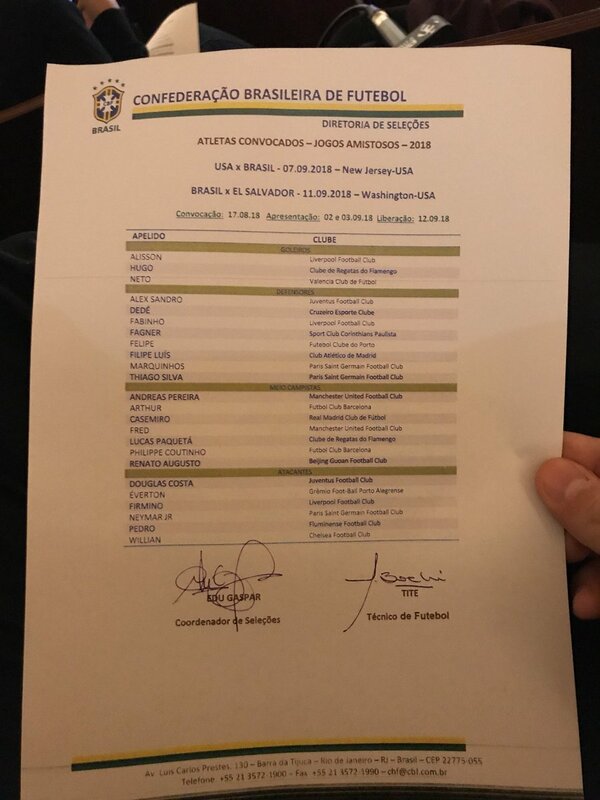 Three Liverpool players- Alisson, Fabinho and Roberto Firmino, have been called up to the Brazilian squad for next month’s friendlies against the United States and El Salvador. Former Liverpool player Philippe Coutinho has been called up as well. The list doesn’t include the Man City quartet of Ederson, Danilo, Gabriel Jesus and Fernandinho, but the United duo of Fred and Andreas Pereira are present. Brazil reached the quarterfinals of the World Cup before losing to Belgium. This entry was posted in News and tagged Alisson, Fabinho, Roberto Firmino on August 17, 2018 by lzozo.